A complete File manager to help you organize all your local and remote files. 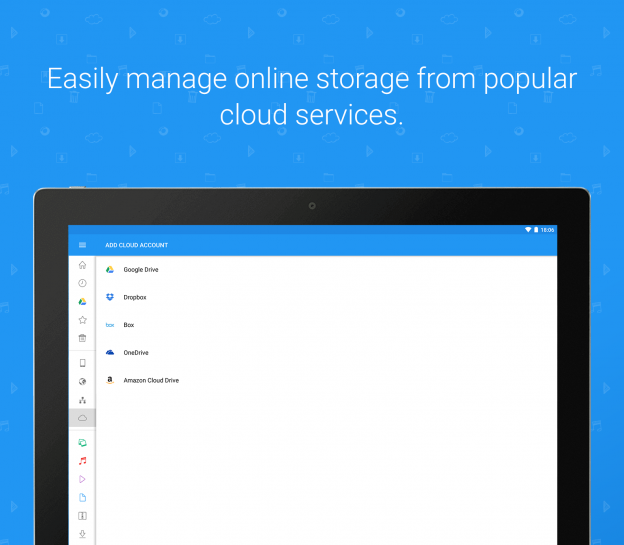 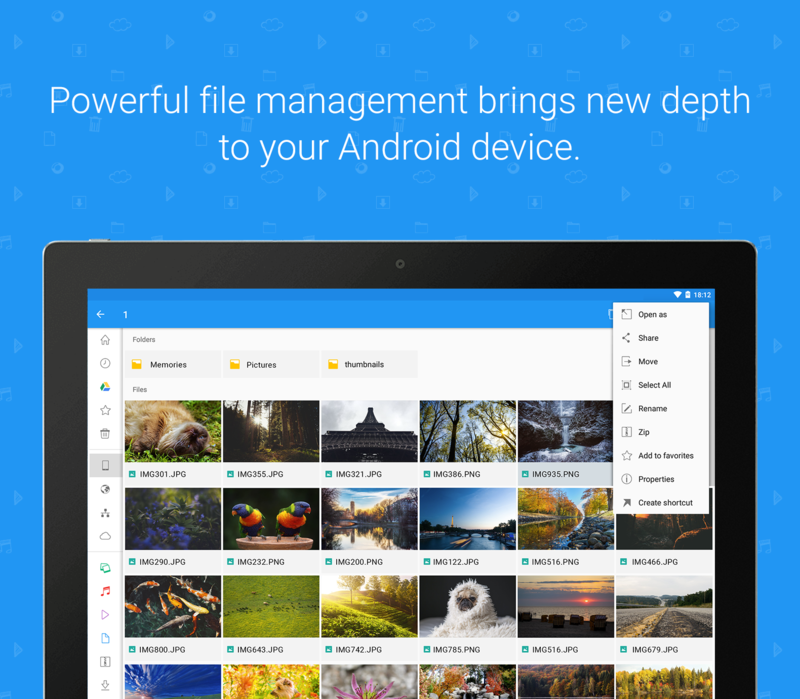 Optimize your storage, manage different file types, link all your cloud accounts and much more. Handle	all kinds of files like pictures, music, videos, and documents. 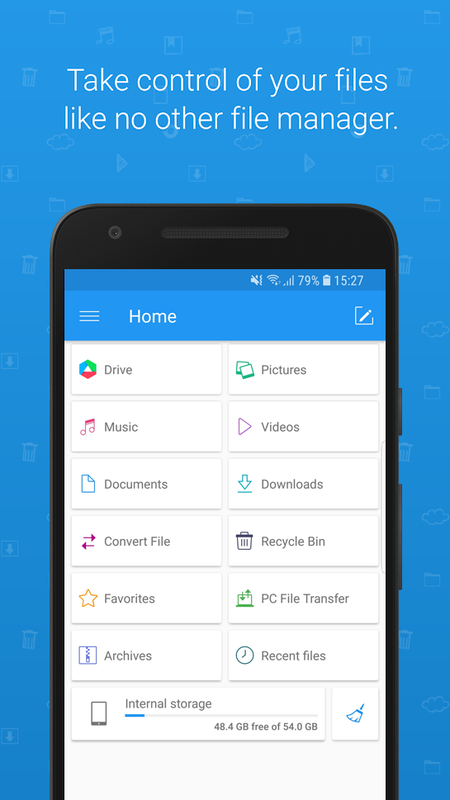 Perform over 1200 types of conversions and convert your files into more than 100 other formats. 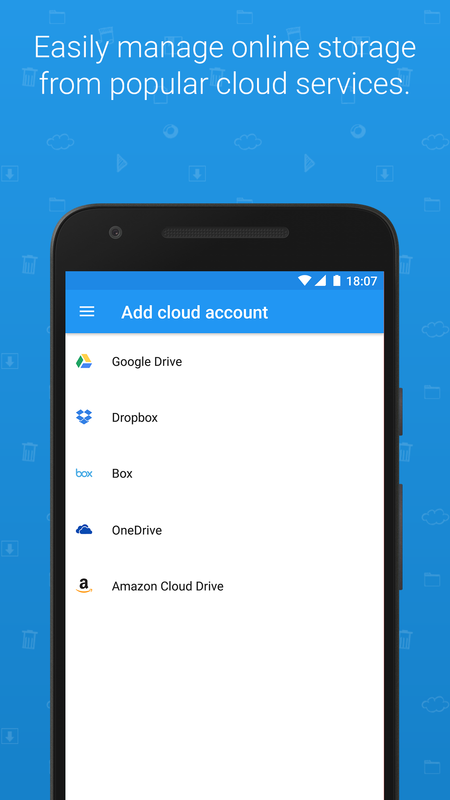 Manage all your cloud accounts, internal and external storage plus local network and FTP locations. 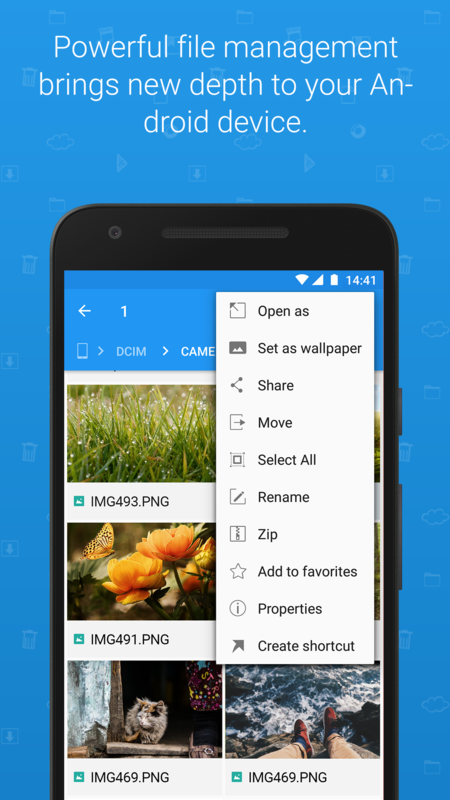 Share your display and link up with nearby devices via Bluetooth to send files using a wide range of options. 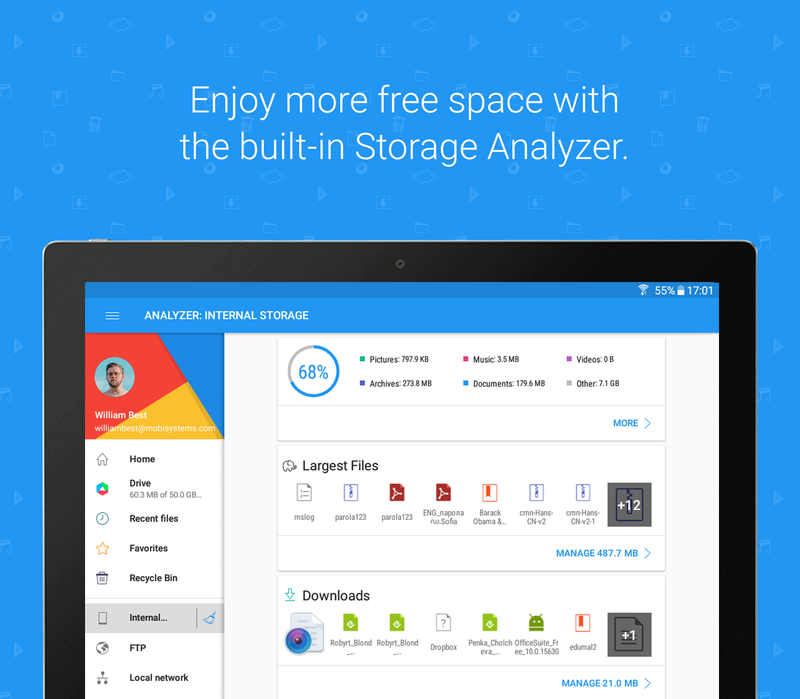 Explore what`s taking the most space and where, with the Storage Analyzer. 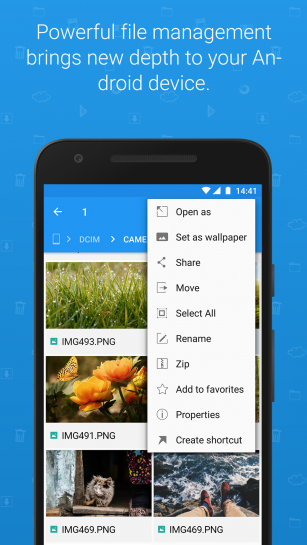 Switch to Secure Mode to encrypt and hide files. 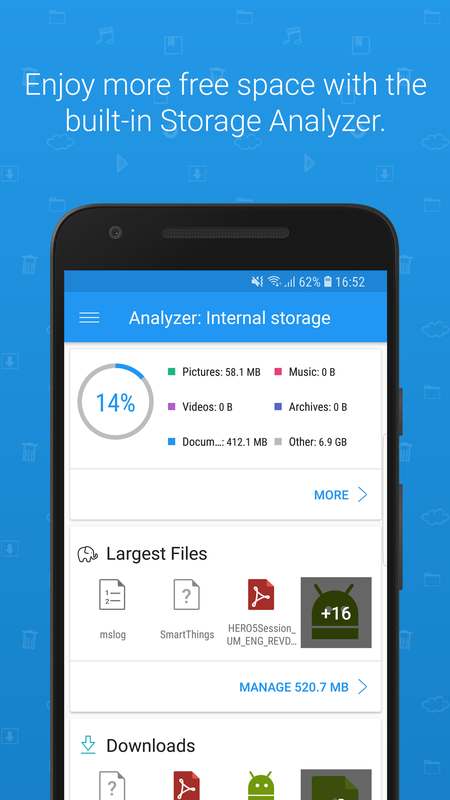 File Commander is a powerful file manager for Android devices, that allows you to handle any file, cloud storage or network location via a clean and intuitive interface. You can separately handle libraries of pictures, music, videos, documents, as well as rename, delete, move, zip, convert and send files with just a few taps. The File Converter feature (available as an add-on) allows you to easily convert your files into one of more 1200 different formats, while Secure Mode enables you to encrypt and hide your sensitive data.